HyStool - stool sample collection device. It’s in the Bag ! ….Simple to Use .. Hygienic … Stool sample collection device. HyStool® is a unique, simple to use, flushaway, hygienic, lightweight stool sample collection device that dissolves 100% in cold water. It easily fits inside the NHS bowel cancer screening test kit and other stool sample test kits, and If included as part of these stool sample testing kits then HyStool® would raise return rates and ultimately save lives. Our faecal collection kit is designed to make an unpleasant job as easy as possible. Simply attach a HyStool® bag to your toilet seat, or the toilet rim under the seat … and pass a stool into the bag. Take the required smear sample. Once finished detach the bag from the seat and simply flush away. HyStool® bags are made from PVA – Polyvinyl Alcohol. They dissolve 100% in cold water. With HyStool® there is no need to catch a stool on a piece of paper in your hand. No need to use a plate, plastic ice cream tub, egg box, or other such stool collector (as recommended by the NHS). With HyStool® there is no need to put your hand inside a potentially contaminated toilet bowl or retrieve a soiled container after it has been used. Simply use our device and then flush it away. Our stool collection kit is biodegradable and environmentally friendly. 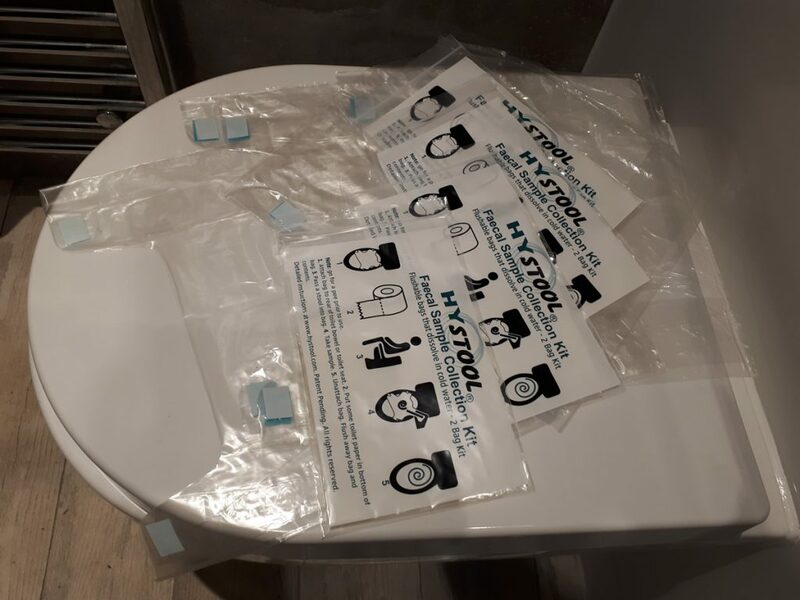 HyStool® bags are attached to toilet seat / bowl with water soluble adhesive stickers. After attaching the HyStool® bag to the toilet seat simply use the toilet as normal. The stool is safely contained within the bag so that you can take a sample from it. Stool collection device is made from PVA. It dissolves 100% in cold water. HyStool® bags are made from PVA. 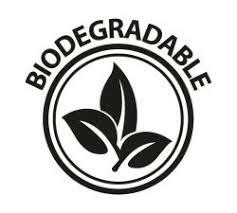 PVA – Polyvinyl alcohol, is strong, yet is completely safe for the environment. Unlike some paper devices that claim to be flushable HyStool® dissolves 100% in cold water and it does so in minutes. HyStool® is safe to flush and is the obvious solution when it comes to the hygienic collection of faecal stool samples. HyStool® does not have to be just part of a home stool sample testing kit. Our hygienic device could be used in hospitals, private health care clinics, and pharmacies. It can be used in bowel cancer screening tests, for crohn’s, Ulcerative colitis and any other condition where a stool test is required. By being placed on the toilet seat or toilet bowl rim instead of being fitted inside the bowl HyStool® reduces the risk of cross-contamination and ultimately could save lives throughout the world. but with early treatment nine out of ten of those cases can be treated and lives saved. It is our opinion that the low submission return rate for the bowel cancer screening test and many other medical stool tests is caused by the lack of a suitable device for stool sample collection being provided to allow people to easily and hygienically collect a sample. HyStool® provides the obvious solution. We quickly realised that the issue of hygienically collecting a stool sample was not just confined to Scotland nor was it confined to bowel cancer screening. HyStool® can be used for a whole host of medical tests that require a stool sample test including Crohn’s disease and Colitis. HyStool® is the hygienic, easy to use, flushaway stool sample collection device for collecting a stool sample for medical tests including Ulcerative colitis, Crohn’s disease and the Faecal Immonochemical Test (FIT) – bowel cancer screening test. Please note prices with postage quoted are for purchases within the United Kingdom. For international postage rates please contact us.